Performing an Operating System (OS) Reload Service is usually done because your hard drive has crashed or some malfunction or MalWare has caused damage to the Windows Operating System, or the computer has experienced some other corruption or failure of the Windows Operating System. Sometimes it is performed at the request of the client to install a different operating system onto their computer. The basic Windows OS Reload service can be combined with our Data Preservation Service and our Software Installation Service so that you get back a computer in a very similar condition to where it was before it had it’s problem. If you have No Data to Preserve, then to re-install the operating system will mean that we will be re-formatting your hard disk, which will wipe out everything on your hard drive including your programs, and then will install the Windows operating system, including all available updates and then lastly install our FREE anti-malware protective software suite on the computer. This will return an updated factory fresh Windows computer to you. If you have Data to Preserve, we will have to perform Data Preservation Services (at an extra cost) to backup all of your data first. Next, we will be re-formatting your hard disk, which will wipe out everything on your hard drive which will wipe out everything on your hard drive including your programs, then will install the Windows operating system including all available updates and then install our FREE anti-malware protective software suite on the computer.. Lastly, your preserved data will then be placed back on your hard drive when the OS Reload is complete. This will return an updated factory fresh Windows computer to you with all of your data, but it will not include any of the programs that you’ve installed since you purchased the computer. They will have to be reinstalled by you or we do offer our Software Installation Service (at an extra cost) so that you get back a computer in a very similar condition to where it was before it had it’s problem. As the final step on ALL OS Reload Services we perform, we thoroughly test the computer to make sure all updates, drivers and other parts of Windows are working correctly. An Operating System can get damaged, corrupted or fail from such things as malware infections (viruses, spyware, etc) and many other reasons. For instance, registry files are accessed every time you install or remove hardware or software, create new files, read email, browse the Internet, or perform just about any other computer activity. The registry files are constantly being opened, read, added to and shortened. All of this activity provides many opportunities for damage to occur to the files. On top of that, power spikes and computer malfunctions can also alter or damage the registry files. Data preservation CAN ONLY PRESERVE DATA, it cannot transfer or preserve software programs that are on the computer. Data are such things as e-mail messages, favorites, documents, photos, videos, music, etc. We cannot transfer software programs (MS Office, QuickBooks, etc.) as these are tangled up with other parts of the operating system and the software relies on specific registry settings which are erased during an OS Reload. If you want us to re-install your programs for you we offer our Software Installation Service (at an extra cost) to get your computer back to a similar condition to where it was before it had it’s problem. Software programs will have to be re-installed from your original software install CD’s, Downloads, etc. Have available the original install CD’s for all the programs, except the Operating System, that you are using and the programs/drivers for things like the printer, mouse, scanner, etc. We can install these programs from your original software install CD’s or other locations for $20 per program or you can install them yourself after receiving your computer back. We remove any existing Anti-Malware Software (it obviously wasn’t doing a good job) and install our Anti-Malware FREE Software Suite as part of the OS Reload. For Windows XP, Vista and 7 users the Free Software Suite includes: AVG 2014 Free Edition, SpyBot, SpywareBlaster, and LogMeIn. 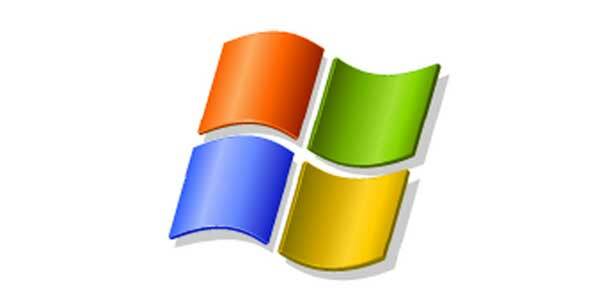 For Windows 8 and 8.1 users the Free Software Suite includes: AVG 2014 Free Edition, SpywareBlaster, and LogMeIn. A link to the complete and easy to follow instructions for using this software suite will be on the back of your invoice. We have installed the best protection software suite available, but nothing on the market is 100% effective against all malware.